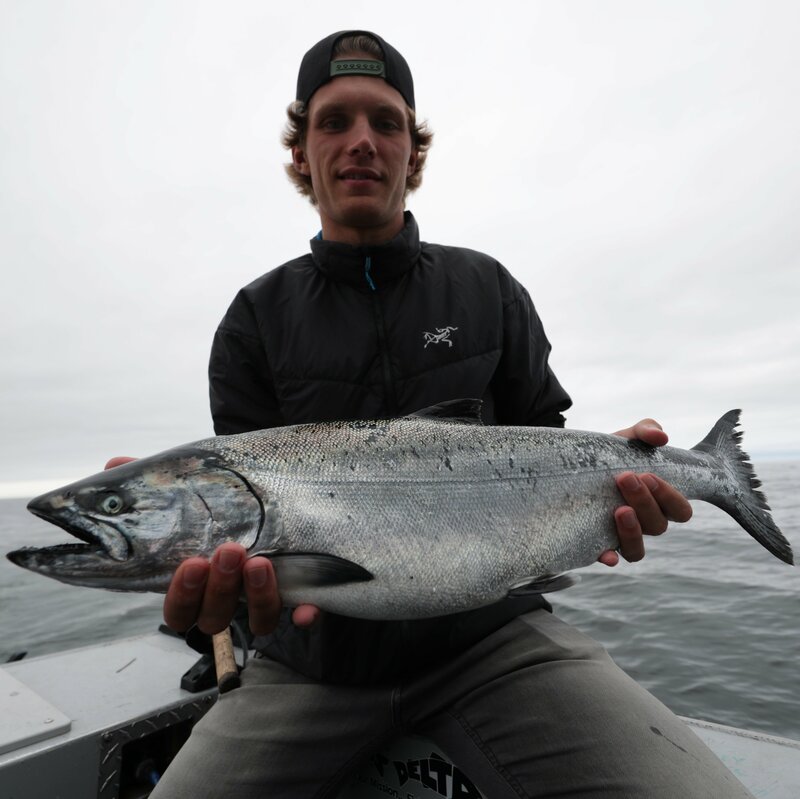 Here’s the latest fishing report from the pro’s at Reel Adventures. A beauty Kootenay Bull Trout caught at the end of June! It’s been a fun couple of months. The last couple weeks of June were very consistent fishing on the lake and the beginning of July has been good as well. Rainbows from 2 -5 Lbs and Bull Trout from 3 – 12 Lbs have been the norm. 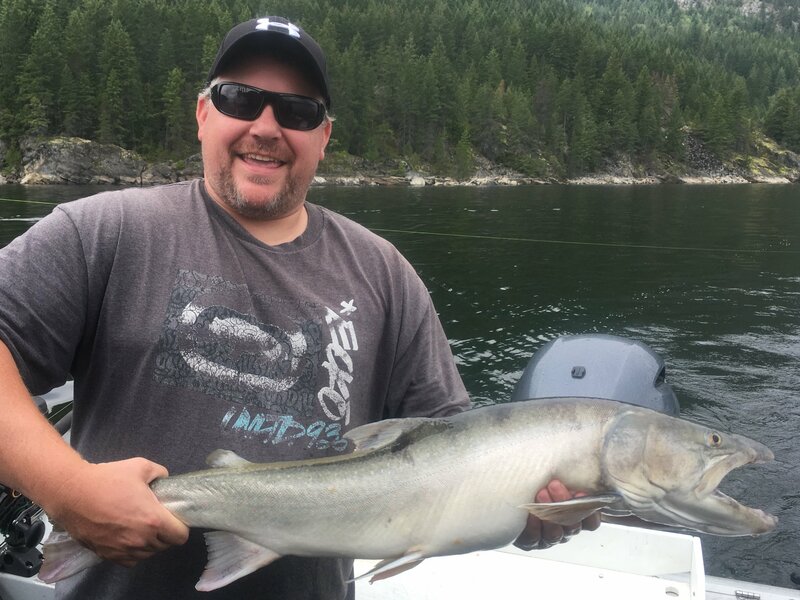 We also had another great 3-day opening for Kokanee in the west arm at the beginning of the month. So, a busy schedule for us. Currently the water temp has warmed up and the Rainbows have tapered off a bit. But, the Bull Trout are making up for it. 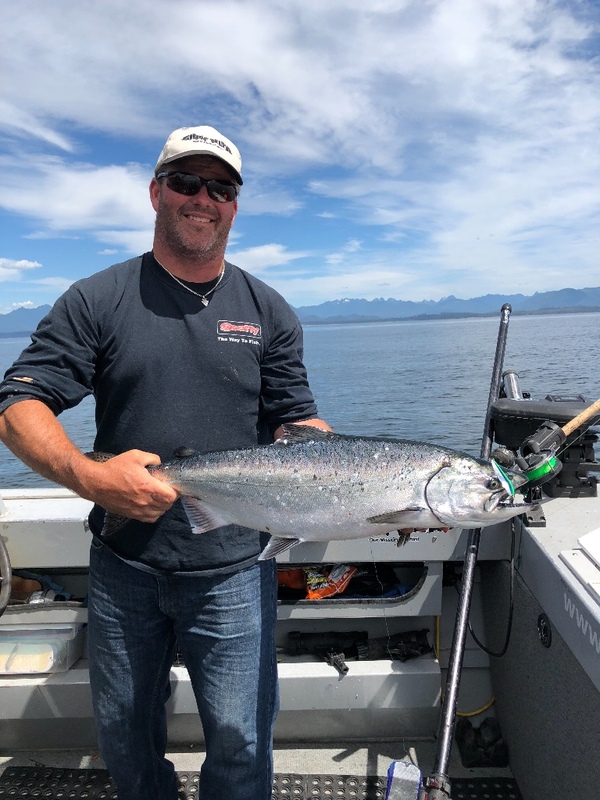 We are finding more fish down deeper now in the cooler water, but still eager to bite. One of our latest trips had a group from Lethbridge join us for a couple days of fishing. They managed to land about 10 Bull Trout and another 10 Rainb0ws in the 2 days. A pretty productive trip I would say. Looking forward to showing some of the summer tourists around are fishing grounds for the rest of the summer. Hotter weather means we will be switching our trips to earlier in the morning or later in the evening. Still a great time to hook into some fish. The river is on fire!!!!! It’s that time of year. The caddis hatch is in full swing and the fish are eager to take a dry fly. Early mornings begin with spin casting for Walleye or fly fishing with nymphs. Both techniques are producing very well. But by mid to late afternoon, it’s time to switch to dry fly fishing. The hatch has been thick. The fish are all looking upwards and the afternoons have been very productive. The magic hour just before dark has been amazing. The hardest part is keeping your fly in the water. Walleye fishing and Rainbow fishing should continue to be great for the rest of the summer. My favourite time on the river. What are they biting on ??? On the lake, it’s been a mix. Starting to get more fish on the down riggers now. So, plugs and hockey sticks between 60 – 80ft has been best. We are also still getting some on the surface using the Gibbs/Delta croc spoons in brass/fire stripe, or nickel/blue. And on the River, its been spin casting with jigs and rubber twister tails for walleye, or flyfishing with nymphs in the morning and caddis in the evening. Stay tuned as the fishing is getting better and better. Our boats on the west coast are having a good time as well. Fishing has been fairly good for the past couple weeks. Big bank has been fishing well and the fishing near the beach has been consistent. 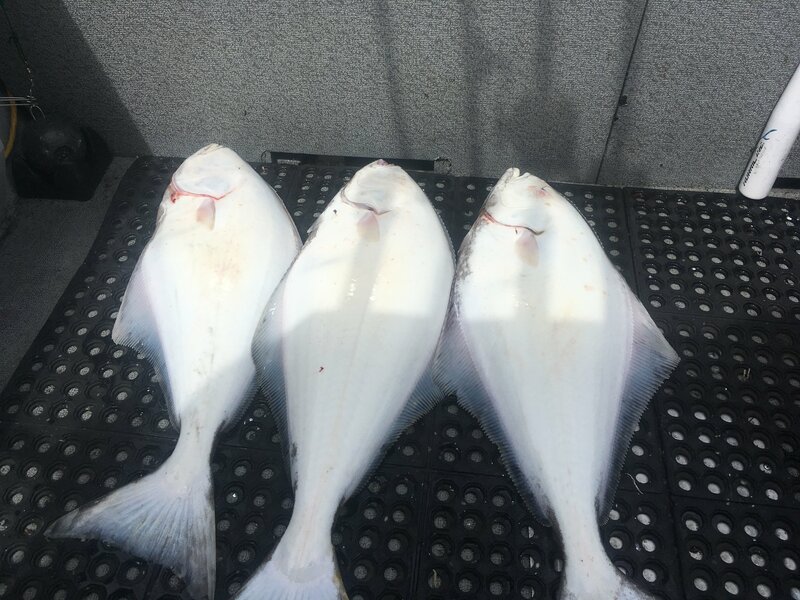 Salmon and Halibut has been good in most locations lately. Looking forward to the prime time coming up from now until September. Keeping you up to date is our goal. If there’s something you’d like to know, drop us a line. Or, just let us know what you think. After all, it’s our clients that make our business.So, give us your feedback ! !